When you read USA Today’s coverage of the March for Life held today in Washington, D.C., take a moment to scroll through the excellent slideshow — and notice how youthful many of those faces are. In spite of setbacks and powerful opposition, a generation is rising that doesn’t buy the self-deceiving rationalizations that “justify” killing children in the womb for sake of convenience. The polls confirm it, as this generation rises, Life will win. Anina Lund, 14, Monica Dewey, 15, and Monica’s brother Jackson, 12, came from West Chester, N.Y., with a group from St. Anne’s Church — 118 people all clad in neon-orange hats and green scarves to keep sight of each other in the giant crowd. Both girls spoke of how their families faced abortion decisions. 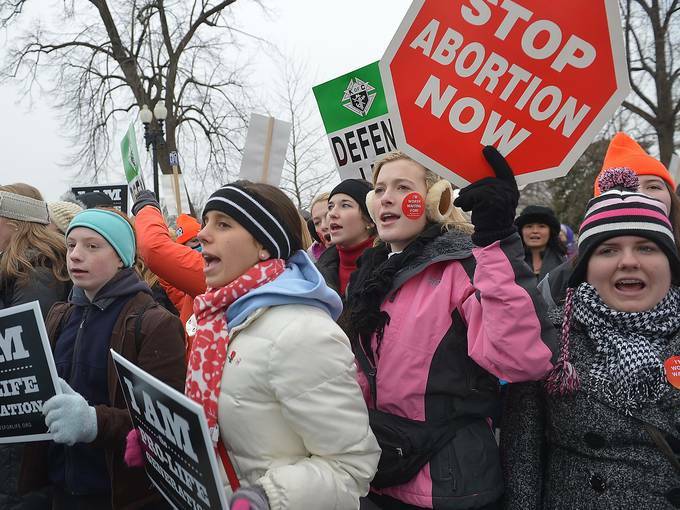 Learn more about March for Life by clicking here.